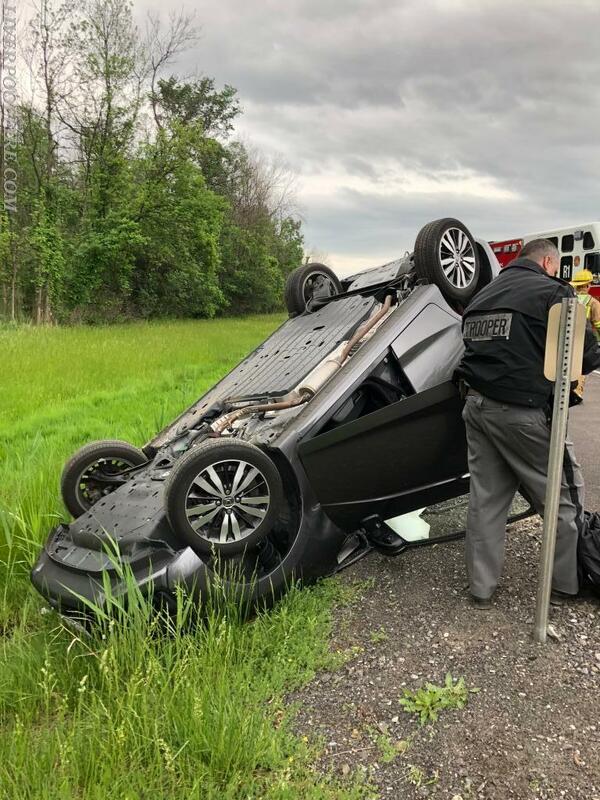 On Sunday June 3rd, the Liverpool Fire Dept was alerted for a single vehicle rollover on the NYS Thruway on the westbound side. Multiple callers reported a single vehicle went off the roadway and rolled over on its roof at different mile markers. With these multiple calls an exact location couldn’t be determined. Car 1(Chief Payne) arrived confirming the location just before the Dewitt Serice Center in the WB lanes. Rescue 1 (FF J. Santoro) arrived securing the vehicle and removed hazards. The patient was self extricated and treated by AMR Ambulance. Engine 2 also responded but was later returned to service. Crews operated for roughly 15 minutes before clearing.